Following rules and regulations cannot make us close to God. Only Jesus can do that. Last time we considered Paul’s claim that he received the gospel from Jesus alone, not from any human being. He makes three basic points. 1. If he got it from a human source, it hasn’t resulted in him pleasing other human beings (1:10). 2. The message that he preaches was revealed to him directly by Jesus, in his experience on the way to Damascus. He began preaching immediately after that, before receiving any instruction from humans. 3. He didn’t consult with anyone right away. Three years after his conversion, and after he began preaching, he did meet with the apostle Peter privately. But he remained unknown by and unconnected to the other apostles and the Jewish churches in Judea. Chapter two continues Paul’s thoughts about these matters. He explains that fourteen years after his visit with Peter, (seventeen years altogether after his conversion) he went back to Jerusalem and met with the apostles. He says he did this because he had a revelation, or vision. He does not explain if he had a new revelation about the gospel, or if the Lord told him in a vision to go to Jerusalem. But in any case, at this point, seventeen years after he was converted and began preaching the gospel, he takes the opportunity to compare notes, to make sure that what he was preaching was in fact the true gospel. The apostles affirmed that Paul was called by God to the Gentiles, and that he was preaching the true gospel (2:6-10). Since Paul talks about circumcision quite a bit, let’s clarify what it was all about. 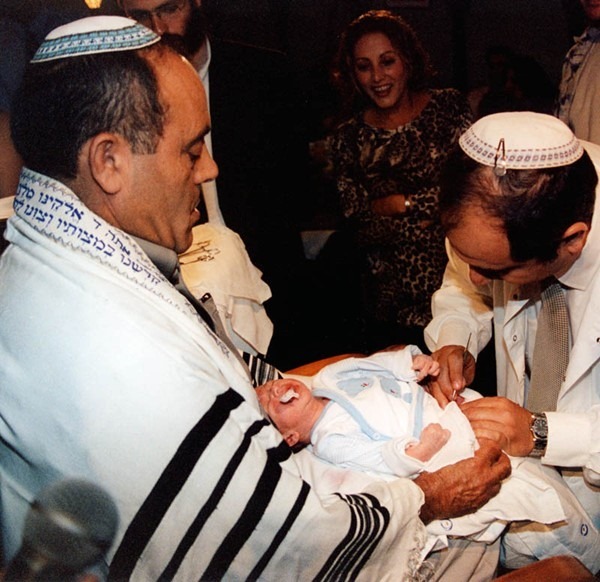 Circumcision was part of the Jewish law. It involves removing a little bit of extra skin from a body part that only males have. According to Jewish law, all men and boys had to be circumcised, or they could not be part of God’s people. Even if man ate according to kosher regulations, and followed all the Jewish rules, he would not considered Jewish, or capable of pleasing God, unless he was circumcised first. Think of it like this. When I lived in Minnesota, there were a few times when I happened to go fishing the same day that a professional fishing tournament was held. Once, the next day, I picked up the newspaper and found out that I caught more and bigger fish than anyone in the tournament. But I didn’t get any prize money, because I was not officially part of the tournament. I had never registered. It didn’t matter how many fish I caught, or how big they were. It didn’t count, because I wasn’t part of the tournament in the first place. In this analogy, circumcision would be like registering for the tournament. Fishing afterwards would be like keeping the other Jewish regulations. You have to do the first thing before you can do the second. If you choose to fish without being part of the tournament, that’s fine – but in that case your fishing has no relationship to the contest. If you choose to be kosher, that’s fine. But if you aren’t circumcised, that has nothing to do with Jewish law. The reason Paul uses circumcision to make his argument is because it is the most basic requirement of Jewish law (at least for men). So he says, “Look, not only did Titus not have to be kosher, he didn’t even have to be circumcised. The very first and most basic requirement of the law did not apply to him.” There was pressure by “false brothers” to make Titus get circumcised. But Paul did not bend to it, and neither did the other apostles in Jerusalem. Undoubtedly, one of you bright readers will come across Acts 16:1-2, and find out that later on, Paul mentored a young man named from Galatia named Timothy, and he encouraged Timothy to get circumcised. So what does that mean? Did Paul change his mind after he wrote this letter to the Galatians? In the case of Timothy, I believe that both Paul and Timothy felt that it would be helpful for his ministry if he was circumcised. They were sometimes staying with Jewish people who weren’t Christians. Good Jews could not allow a Gentile to spend the night in their home, or even eat with him. Circumcision gave Timothy greater flexibility in reaching out to those Jews who did not yet trust Jesus. So he was circumcised – not in order to be saved, nor to keep the law, but because the Holy Spirit led him to do it in order to be more effective in reaching people for Jesus. Our family has celebrated Passover every year for the past seventeen years. We do it because we enjoy it and it encourages us a Christians. But we don’t think it is required. If we didn’t do it this year, we would miss it, but no one in our family would think that we’d be in trouble with God if we failed to do it.The point is this: You do not have to keep any part of the Jewish law in order be saved through faith in Jesus Christ. In fact, keeping the law won’t help you in the least. But you are allowed to follow some or all of Jewish law – if you want to, and if you do it for some other reason than because you think it is required in order to be saved. We no longer have a law that says you must be circumcised. But neither do we have a law that says you cannot be circumcised. The important point here is that following rules and regulations cannot make us close to God. Only Jesus can do that. So when it was all about salvation and the true gospel, as it was in the case of Titus, Paul refused to budge. But when the Holy Spirit led Timothy to get circumcised in order to be more effective at reaching people for Jesus, Paul encouraged him to do it. You see, certain things are useful in our lives, to keep us close to Jesus. But only one thing is necessary: to trust Jesus. There is not law you can keep, no good deed you can do that will help you receive salvation. You can only trust Jesus, and trust that he did it all for you. The natural questions are: Do you really truly your wife? Do you really have a relationship with her? Can you honestly call that relationship “marriage” when you have no intention of making a life together? In the same way, “Christians” who have nothing to do with Jesus probably don’t really trust him in the first place. I doubt very much if their faith is genuine when they treat him like that. This group of people is not focused on Jesus, but on their own selfish behavior. They are fixated on the things they want to do. But there is another response that some Christians have. They look at the first group of people and say, correctly, “That’s wrong. I don’t want to be like that.” Their solution, however, is to create a list of things to do that ensure you don’t become one of the first group. Like circumcision was for Timothy, some of these things can be genuinely helpful in your relationship with Jesus. Others are actually a natural part of a real relationship of faith – like praying, and listening to God through the bible, and living in community with other Christians. But we cannot make them into laws. This second group can also end up focused on behavior – in their case, it is good behavior. But it is not Jesus himself. This is where trust comes in. We have to trust that as we fix our eyes on Jesus, rather than our own behavior, He will make things right. We trusted him to make things right for our past sins. We need to do the same for our present behavior as well. It is only common sense to do things that are helpful, like praying, and reading the bible and fellowshipping with other believers. But we can’t trust in those things to keep us in Jesus. We trust Jesus himself, not any part of our own behavior. If you are truly focused on Jesus, not on how you want to behave, you will begin to sin less. Jesus will work from the inside out and your goals will come from him, not your selfish desires. If you are truly focused on Jesus, not your behavior, you will begin to find more joy and freedom. You won’t worry so much about how you’re doing, because you are full of Jesus, not your own performance. I play tennis. There are certain stances and racquet positions that are important in that game. Good footwork is helpful. But if you keep looking at your feet and hands and racquet, you will absolutely fail at tennis. Once you learn the basics, you need to watch the ball, always. If you watch the ball, the other stuff kind of takes care of itself. That’s a simplification of the sport of course, but it holds an important true lesson. When we are fixed on Jesus, not our behavior, he takes care of the behavior. Luther says, basically: Look fasting and prayer and so on can be very helpful for living in relationship with Jesus. But they do not get you that relationship; they do not help Jesus to forgive you. They don’t contribute to your salvation. Remember the illustration I gave a few weeks ago. Jesus has come all the way; he has closed the entire gap between us and God. We can’t do any of it for ourselves, whether by fasting or by circumcision or by any other good work. Paul’s hard-line approach is not about being confident in himself or sick of opposition. It is his confidence in Jesus, and the importance of this issue that lead him to come across this way. Let’s understand the issue. It is that Jesus alone has done everything that is necessary to bring us into relationship with God. Our only “work” according to Jesus, (and to Paul) is to trust him (John 6:29). This isn’t about “being free” or “standing up for my rights.” It is nothing less than defending the truth of the Gospel. WHERE DOES THE OLD TESTAMENT COME FROM?